On the 14th of March, Insurance World Challenges 2019 takes place again in Madrid, bringing together the leading players of the insurance industry from Spain and abroad. As the name reveals, challenges and trends that the insurance industry is currently facing will be discussed exuberantly. We are happy to announce that Signaturit will participate for the 3rd consecutive year, where we will explain you everything about our newest tech innovations for insurance companies. Curious to know more about the event and why visiting IWC is a must? Keep reading! 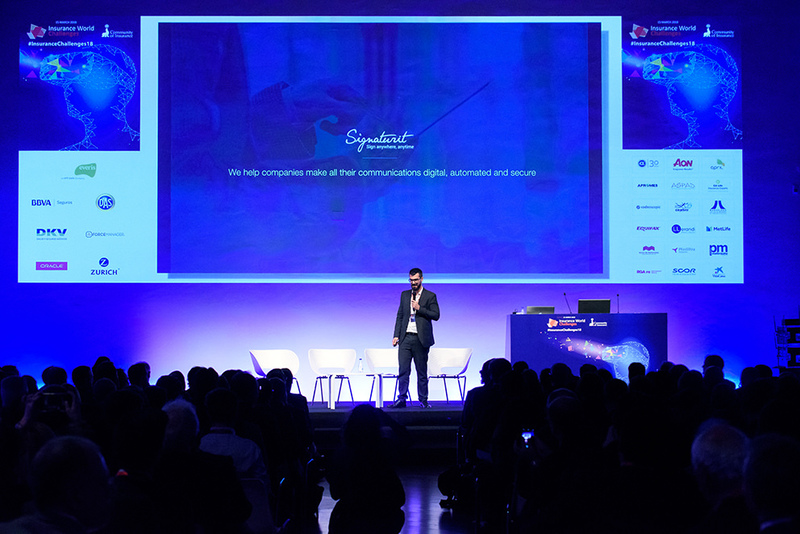 The leading Insurance event of Spain, Insurance World Challenges 2019, will soon take place again on the 14th of March at the beautiful venue Real Fábrica de Tapices in Madrid, organised by Community of Insurance. The conference is addressed to the entire insurance industry and especially to those that need to understand the transformation in order to stay up to date with innovation, consumer trends, digitization and remain ahead of the competition. On this year's agenda we can expect among other things the following topics to be discussed: Blockchain, Wellness, Smart Home, Robotics & AI, Digital Distribution and Big Data. Community of Insurance's mission is to bring innovation to the insurance industry by connecting Insurtechs and traditional Insurance companies which can help them transforming to the digital era. During the complete duration of the event, several networking spaces are available to increase business opportunities. Below you can find a recap of 2018's edition. This year too, it will be a promising edition! Last year for the first time the Seal Awards were presented during Insurance World Challenges where the most innovative insurtechs that are contributing to the technological development, were rewarded with an award. The winners were carefully selected by the attendees at the event who could cast their vote. Last year Signaturit had the honor to win the Seal Award, along with Flock who offers insurances for drones and ForceManager, a mobile CRM for field sales teams designed to help salespeople in their day-to-day lives by acting as their personal assistant. We wish all the participants of this years edition a lot of success! 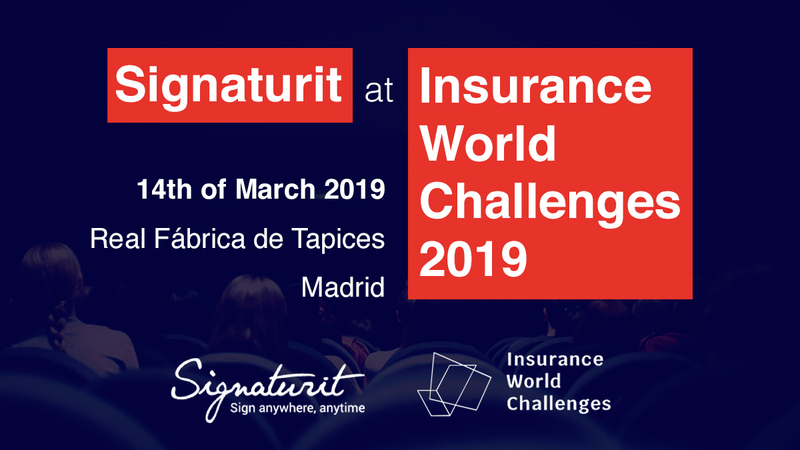 After the success of last year's edition, Signaturit is happy to participate again at Insurance World Challenges 2019, which will be the 3rd consecutive year! At our stand at the Market Place we will be happy to tell you everything about our latest tech innovations in the insurance industry including Smart Contracts and Qualified Trust Services (Electronic Signature, Certified Electronic Delivery, Electronic Identification & Qualified time stamp). Thanks to the expansion of our product portfolio, Signaturit can operate as one single trust service provider in the digitization of the complete document management workflow for insurance companies. Our novelties will furthermore be showcased during the Show & Tell session. Stay tuned for the exact time!